At Innovative Solutions Group™ we respect and treasure entrepreneurship, in fact, it is our passion. We create an enabling environment that ensures our people reach their full potential. The South African business environment is a highly monopolistic one in which new business start-ups and small to medium businesses often struggle to compete with large, dominant companies. Once established, it is equally difficult to access the expansion capital and resources necessary for them to grow and mature beyond a certain size. At Innovative Solutions Group, we understand the challenges faced by fellow entrepreneurs and are passionate about assisting you. By outsourcing these business functions to us, we enable you to concentrate on what really matters – growing your business. We are proud of our history. We are proud of our clients’ growth, some whom have been with us since the day Innovative Solutions Group™ opened its doors. Our founder, Arnoux Maré started the company with one objective in mind: to take this small idea and turn it into a successful, growing business which held the potential to create tens of thousands of jobs, in turn supporting hundreds of thousands of South Africans. With big dreams, strategic thinking and hard work, the business has grown rapidly within a year to include two Gauteng-based offices and two subsidiaries. Five years later, Innovative Solutions Group™ now has offices nationwide and subsidiary companies across various fields of industry. The growth of the group has been both exponential and remarkable. Part of the company’s success is remaining true to its unwavering philosophy of employing the right people for the right job, and always following the right business model. We are an entrepreneurial business at a time in South Africa when the country needs small business start-ups, which is our main client base. However, the Innovative Solutions Group™ also assists with medium-size and large companies – primarily because many of our clients have grown substantially under our stewardship. The basis of our Group is the idea that outsourcing is the key to business success. For instance, why should a firm of lawyers be occupying their time employing cleaners, security guards, IT technicians and secretaries or spending excessive hours on balancing their books when they should be maximising consulting hours at a far higher rate of revenue? The same principle applies in almost every sector of our economy. We believe that business owners and entrepreneurs should have trustworthy service providers who act as their proxy, assuming the same level of responsibility and accountability as the company itself would, had it been providing the service. We have grown rapidly both organically and through acquisition by seeking out individuals and companies who share the same vision. Such entrepreneurs have the guts, instinct and brilliancy of ideas to start their own business. With our resources, our expanding group of companies have found that they can experience faster expansion, while simultaneously providing Innovative Solutions Group™ with a broader portfolio of offerings tailor-made to suit each client. There is a single word which describes all our subsidiaries and the quality which separates us from our competitors – passion. Passion and innovation. While other companies do what we do, few offer the same level of dedication and energy as we inject into serving our clients’ interests. Since our inception, we have never reduced staff numbers and are constantly growing. We understand that this industry is all about relationships – we are trusted by our staff, our clients, organised labour and our suppliers. We have highly-trained Contract Managers and we make sure that we improve on any targets set in a Service Level Agreement. Our Contract Managers are on call 24-hours a day, seven days a week; we don’t believe in keeping office hours. While the industry standard is that an employee query be addressed within five days – we insist on doing so within 24 hours. We believe that a happy workforce is a productive one, which in turn makes for a happy client. That is just one of our many unique selling points. Outsourcing is a worldwide phenomenon. The typical entrepreneur or small business owner is everything rolled into one. But business today has become an intricate science that requires a host of specialists that no small business owner can afford or ignore. We can assume responsibility for all that – certainly at a lower price and more efficiently than any single person could. The goal of Innovative Solutions Group™ is to not have customer service that is the best, but customer satisfaction that is legendary! If your business needs help, outsource it to us! Fostering a culture centred on excellence across the group, our Group prides itself on performance, innovation and entrepreneurial vigour. As a middle-income country, South Africa has an abundance of low and semi-skilled workers, who, at times, can be a challenge to manage. Conversely, skilled workers and those in managerial positions are in high demand, short supply and are expensive to retain. Staffing a business can therefore be time-consuming, taxing, demanding and often wearisome, when management ought to be focusing on the core competencies of the business. Innovative Staffing Solutions offers an alternative to this dilemma by assuming responsibility and accountability for your staff, ensuring they are trained, proficient and suited to your specific business’ needs. We boast unparalleled human resource and industrial relations expertise to manage your staffing processes. In fact, we manage over 7,500 employees and have never experienced a single incident of labour unrest. By outsourcing finance and accounting processes to Innovative Accounting Solutions, companies have found they can access resources and best practices otherwise beyond their reach. In choosing to do business with us, we assist you in developing better benchmark and baseline financial processes to help your company meet all its regulatory requirements. Simplifying and standardising financial and accounting processes is a key characteristic of well-run companies. Among the variety of outcomes this provides, our consulting division ensures you will not pay one cent more tax than you are legally obliged to, thereby freeing up your cash flow. We assist companies to comply with Broad-Based Black Economic Empowerment (B-BBEE) regulations and simultaneously enhance their business efficiency through improved scorecard ratings. Our driving goal is to help educate our clients on how to affordably integrate B-BBEE policies, social responsibility initiatives and enterprise development into their strategic vision and operations. We encourage sustainable business growth and social development among companies who strive for an improved rating, and who regard B-BBEE processes as an important economic objective for South Africa. Personal Protective Equipment (PPE) refers to protective gear such as helmets, goggles, pads, guards, shields, masks and other garments or equipment, which are designed to protect individuals from injury or infection. South Africa is a country of many hazards, including physical, heat, electrical, biohazards, chemicals, and airborne matter. Protective clothing and equipment is required by law for job-related occupational safety and health purposes, particularly in the mining, industrial, security and transport sectors, as well as for sports and recreational activities. We will ensure that your protective clothing meets legal requirements and is only of the highest quality. By providing us with an outline of your business and your specific needs we will tailor the type of PPE needed to address your prerequisites and provide you with the most cost-effective solution. At Innovative Accounting Solutions we offer a range of taxation, accounting and administrative services, either on a consulting or full-outsource basis. Our primary purpose is to drive efficiency in your business by relieving you of the administrative functions that don’t form part of your core activity. We enable your Chief Financial Officer or finance team to concentrate on strategic analysis rather than just number crunching. The top priority of CFOs who outsource finance and accounting processes is to drive cost and operational efficiency and performance. To achieve high performance in a competitive global marketplace, companies are increasingly finding their expensive finance resources can provide better value by offering business insights rather than supervising bookkeepers. By outsourcing your finance and accounting processes, you will find that your business now has access to resources and best practices, which was previously perceived as being unaffordable. While we free up your time to focus on the financial growth of the business, we assist in developing better benchmark and financial processes and fundamentals to help your company meet all its regulatory requirements. Among the variety of outcomes this provides, our consulting division ensures you will not pay one cent more tax than you are legally obliged to, freeing up your cash flow and allowing you the financial freedom and stability to help grow your business. Simplifying and standardising finance and accounting processes is a key characteristic of well-run companies and through Innovative Accounting Solutions, it is now within your reach – affordably. B-BBEE is an unavoidable and necessary practice of business compliance in South Africa. 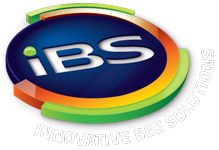 Innovative BEE Solutions will assist your company by ensuring that you get the best possible value from going through the inevitable processes and expenses associated with complying with B-BBEE regulations. Numerous of our clients have been awarded tenders and contracts because we enabled them to achieve the improved B-BBEE compliance levels needed. With South Africa’s ever changing economic environment, B-BBEE has become so sophisticated and complex that it requires specialist skills. The complexity of B-BBEE codes makes it almost impractical for most small and medium sized businesses to organise their scorecard returns and to implement the strategy. Our consultants’ professional and expert approach has helped to increase most of our clients’ company rating by two levels on average, sometimes with minimal effort, simply because of their expert know-how and proficiency in understanding the regulation. We achieve this by coordinating all B-BBEE related activities and ensuring every activity is captured and documented, as well as by implementing innovative and inexpensive activities, and by training staff on how to continuously improve the company’s ratings. We assist your company to both comply with B-BBEE regulation and simultaneously enhance your business efficiency. Our driving goal is to help and educate clients on how to affordably integrate B-BBEE policies, social responsibility initiatives and enterprise development into their strategic vision. The objective is to encourage sustainable business growth and social development among companies who strive for an improved rating, and who regard B-BBEE processes as an important economic objective for South Africa. As a middle-income country, South Africa has an abundance of semi-skilled workers, who, at times, can be a challenge to manage. According to a Stats SA report, South Africa has an abundance of low-skilled (29%) workers who are employed as domestic workers, cleaners, farm labourers, and in elementary jobs, and semi-skilled (46%) employees who work as drivers, clerks, machine operators or in craft and related. With unemployment rates basically at its highest, employees are not only desperate to hold on to their jobs but can often be a challenge to train and manage. On the other hand, skilled workers and those in managerial positions are in high demand, short supply and are expensive to retain. Staffing your business can therefore be time-consuming and demanding when management should be focusing on the core competencies and growth of the business. Innovative Staffing Solutions offers a solution to this quandary by assuming responsibility and accountability for your staff, ensuring they are trained, proficient and ideally suited to your specific business’ requirements. We boast unparalleled human resource and industrial relations expertise, and in staff management and recruitment processes. 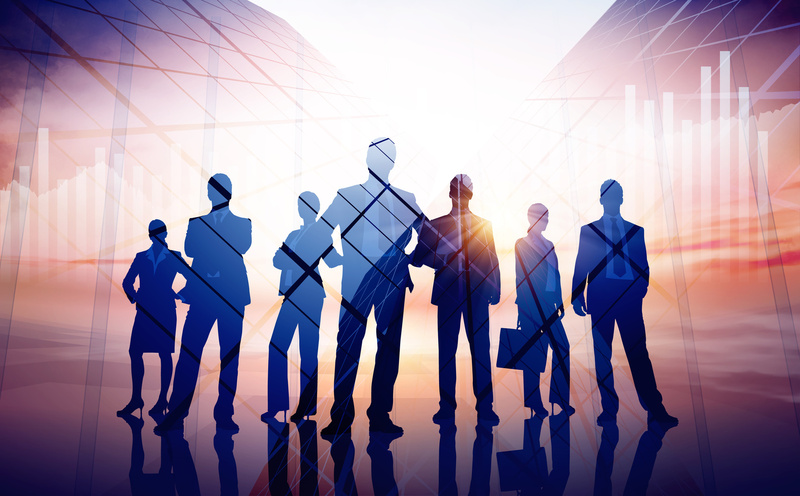 We provide staffing solutions to both large organisations and small to medium sized enterprises. At Innovative Staffing Solutions, we currently have over 7,500 employees on our books involved in transport, hospitality and farming. Innovation is integrated in our core offering, and we take special pride in providing bespoke solutions to each one of our clients. We have developed our solutions to maximise service delivery at a cost-effective price. The management of employees to minimise absenteeism and industrial action reduces and controls operating costs i.e. paying commission on hiring new employees, management oversight, training, etc. Focus on your core business competencies, which allow you the time to focus on what you are good at and growing your business. Access to exceptional staffing management capabilities. Did you know that in our five years of operations and managing 7,500 employees, we have never faced any form of industrial action? Free up management and other key resources for strategic business purposes instead of day-to-day staffing duties. Outsourced staff provides improved cost efficiency, quality, service, and speed, as they are trained and managed to handle your non-core needs. Allows you to spend capital funds on your business, your product or your customers. Reduces your business risk i.e. industrial action. Our staffing solutions are designed to simplify systems and to lessen your workload, enabling you to focus on what you do best, while we focus on our core competency– your staffing needs.